Consumer 3D printing entered a state of maturity a few years ago. We finally got reliable printing, solid hardware, and software that makes the process easy. So where does it go from there? 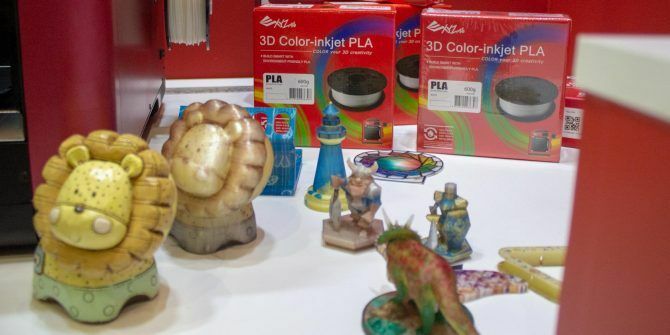 IFA 2018 appears to have brought us very little in the way of groundbreaking new 3D printing technologies, but we did see some great iterative upgrades to already good printers, as well as a set of curricula to bring 3D printing into the classroom in a meaningful way. The daVinci Color Mini brings the company’s full color 3D printing technology to a more affordable price point than the daVinci Color. And by affordable, we mean around €1500/$1600. While still expensive, it is at least in realms of possibility for home users. Using a single translucent PLA filament, the daVinci Color Mini is able to produce full color prints by integrating inkjet technology (which they’ve called 3D ColorJet) and CMY color tanks. The printer alternates between fusing a layer of plastic, then colouring the appropriate edges of the layer. The largest printable volume is 13cm cubed. 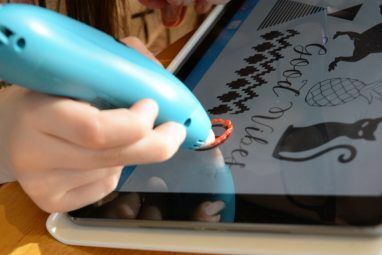 The enclosed design offers safety for schools and public areas, and also features beginner-friendly features like a removable print bed with auto-levelling and automatic filament feed, WiFi connectivity, and a 5″ touch-screen. It can print either PLA, Tough PLA, or PETG, but not ABS. Like its big brother, the daVinci Color Mini can also be upgraded with a laser engraver module, which will be available at a later date. More impressive is the new 3D printing curricula. Divided into three modules for ages ranging 5-11, 11-14, and 14-18, the lessons introduce 3D printing technology in an age appropriate way to match the K-12 curriculum. You can view an example lesson plan resources for a flashlight housing project here. As far as we know, it’s the first attempt to structure a full suite of lessons to cover a broad range of K-12 ages and topics. The suite is available to schools at a cost of €400 per licence, or is supplied with a new education package to suit school budgets. We think it’s a great initiative to ensure purchase printers are used to their full potential. Many schools are quick to adopt new technology but without a long term plan of how to integrate that into the existing learning schedule, it often sits unused in the corner. The MP Select Mini 2 has been a long established favorite of 3D printing enthusiasts, thanks to it’s ludicrously good value, ease of use, and ability to get great results. Monoprice thought they could do better though, so after extensive user feedback, they made some upgrades. Most significantly: they made the bed removable, added an auto-levelling probe, and shifted from a physical control knob to a full touchscreen interface. The MP Select Pro retains the all-metal construction to reduce vibrations, and has been launched alongside the existing models at only $50 more. That’s an incredible amount of 3D printing tech to cram onto a device that costs just $250. Monoprice also told us that the cable bundle under the print bed was switched to a more reliable ribbon cable, as it was apparently causing issues for a very small number of users. We talked to the product development manager, and it was clear they cared deeply about user feedback on how to improve an already great device. That’s pretty stunning quality from a $250 printer. For those on an even tighter budget, Monoprice offers a full metal construction small delta-style 3D printer for $160, which has been available in the US for a while, but is now being brought to Europe along with the rest of their range. Also new to the range is the MP Voxel, a fully enclosed model for $399 . With a built-in camera to monitor your price, and cloud connectivity for remote management, the Voxel should be great for the educational market, with ease of use and safety in mind. The Voxel features hotspot-enabled Wi-Fi so you can print directly from your phone, 15cm cubed print area, a 2.5″ touchscreen, and 8GB of on-board memory to store the prints. Alternatively, you can use a USB stick to load a print directly. Filaments can be hidden away inside, and a filament sensor ensures you’ll never be printing dry. Like the MP Select Mini Pro, the Voxel also features a removable print bed, auto-levelling sensor, and heated print bed. The print bed is capped at 60C though, so you’re limited to the PLA and PETG filaments; the enclosure is purely for safety, rather than maintaining the higher temperatures needed for ABS printing. Is It Finally Time To Buy a 3D Printer? 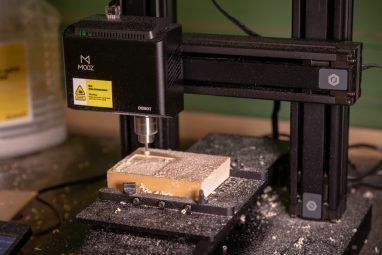 3D printers are a lot more reliable than they used to be, so we’re finally getting to the stage where we can mostly judge based on features offered rather than “does this even work”? Heated print beds and specialist print surfaces are now commonplace. 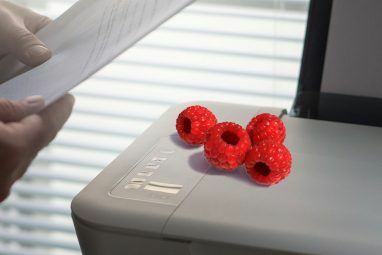 However, we can’t test the reliability of printers at a trade show, so we wouldn’t suggest running out and buying one of the new models just yet. If your school is struggling to make use of a printer they already own or can get funding for a new package, it’s certainly worth reaching out to XYZprinting for a look at their integrated curricula. In the meantime, check out our 3D printing beginner’s guide Ultimate Beginner's Guide to 3D Printing Ultimate Beginner's Guide to 3D Printing 3D printing was supposed to be the new "Industrial Revolution." It hasn't taken over the world yet, but I'm here to talk you through everything you need to know to get started. Read More . Explore more about: 3D Printing, IFA.